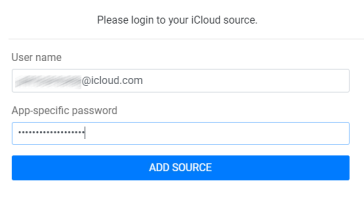 How to login with iCloud account using 2 Factor Authentication? You are here: Getting Started > How to login with iCloud account? When logging in with iCloud account for the first time - you might be asked to create app-specific password. To do that - log in to your iCloud account. Enter password and two-factor authentication code if asked. 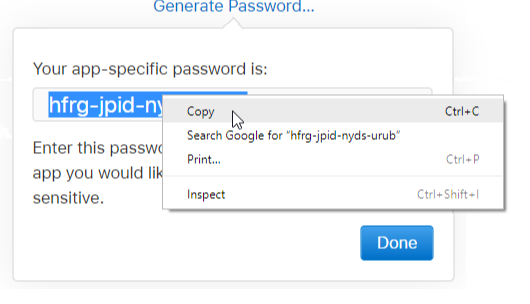 Go back to SyncGene web app, enter your user name and paste copied password. Congratualtions! Now you have granted SyncGene access to share and sync your calendar.